3DFigurine.com proudly serves America and Canada with the most innovative award winning product. 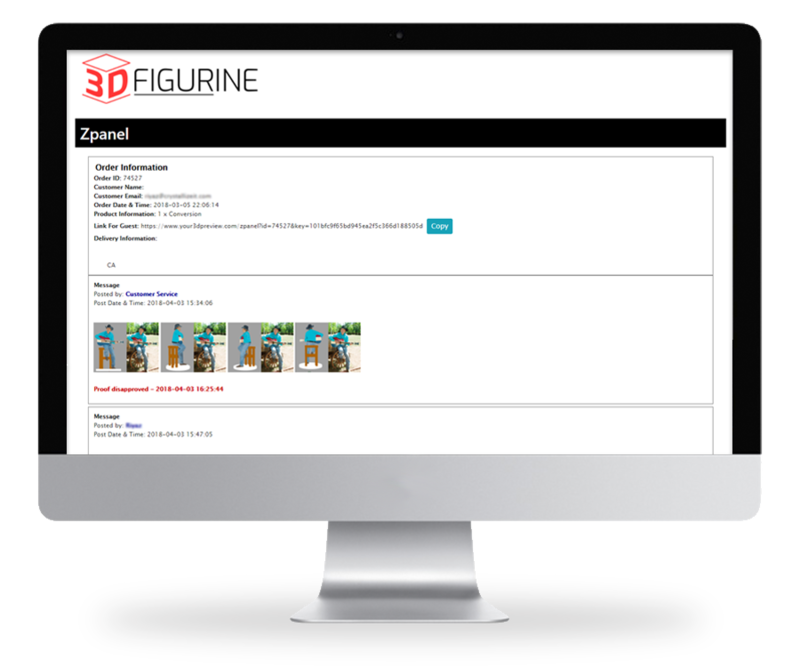 We create 3DFigurines of you and your loved ones from any photo provide. This means you can order from the comfort of your computer / mobile device without ever having to find a scanning station. Most importantly it means you can create 3DFigurines of sentimental moments from photos that you already have. Need to gift something to the person that has it all? Hop onto their facebook page and grab a nice photo of them and submit it to us to make a 3DFigurine! See samples of our work on this website. All photo on this website are of Figurines that we have modeled from a photo. Additionally we provide a sneak peak of our modelling work on our award winning 'Zpanel' proofing system prior to submitting the file to the 3D Printer.